Benefits of using the Singer sewing machine, 1880. 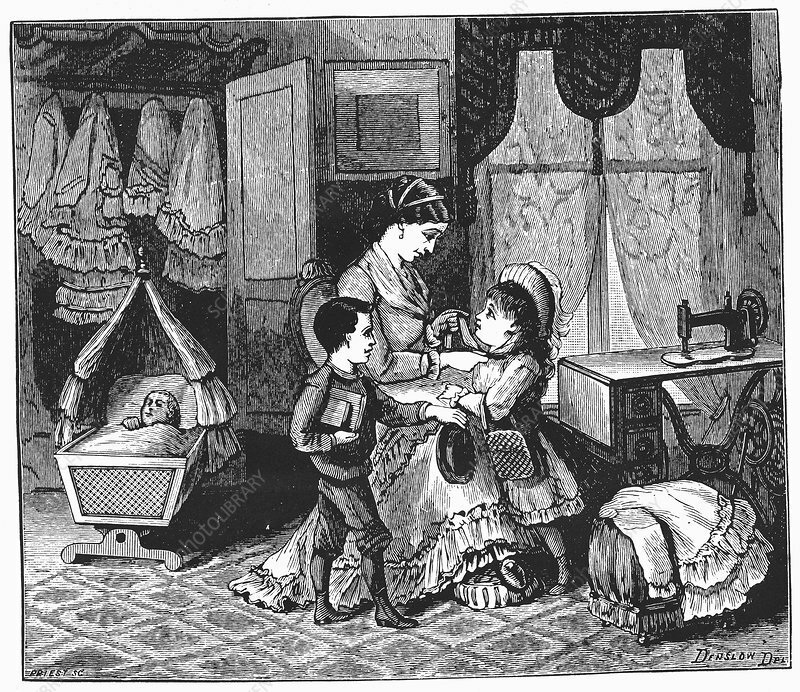 A home and family transformed into models of comfort and smartness by the housewife's industry with the help of the sewing machine invented by Isaac Merritt Singer (1811-1875) in 1851. From Genius Rewarded or the Story of the Sewing Machine. York, 1880).